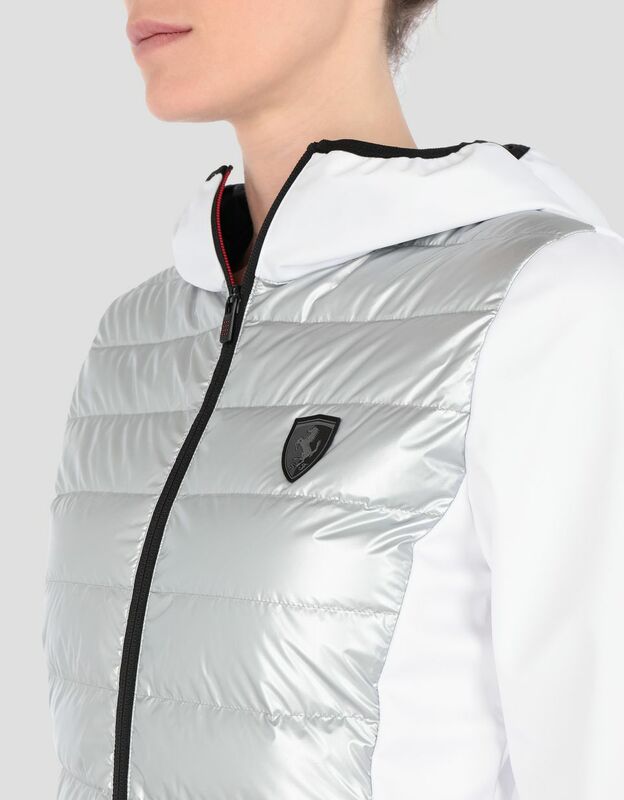 Made of silver nylon and Softshell and lined with real down soft padding, this Scuderia Ferrari jacket expresses a strong and decisive personality. 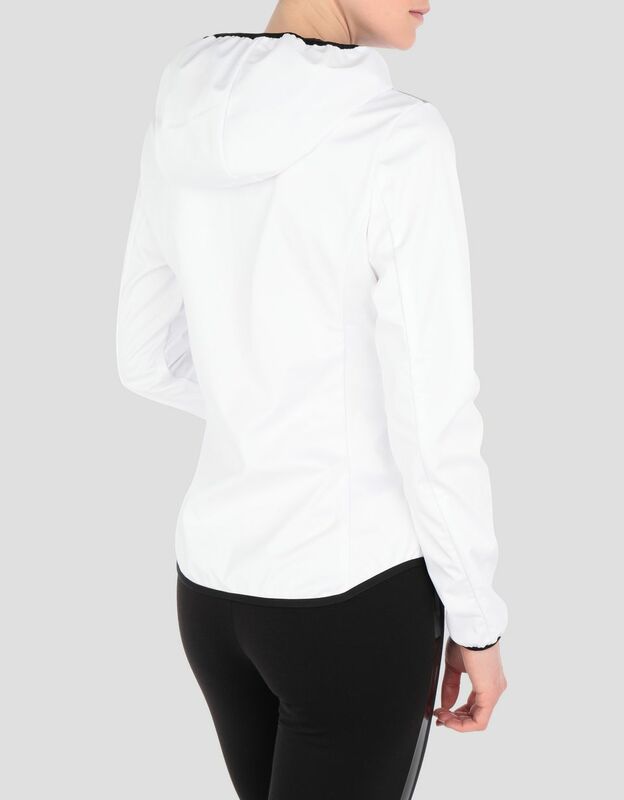 High-performance materials and cutting-edge technology give life to this women's bomber jacket, which is padded with real down and comes with a hood. 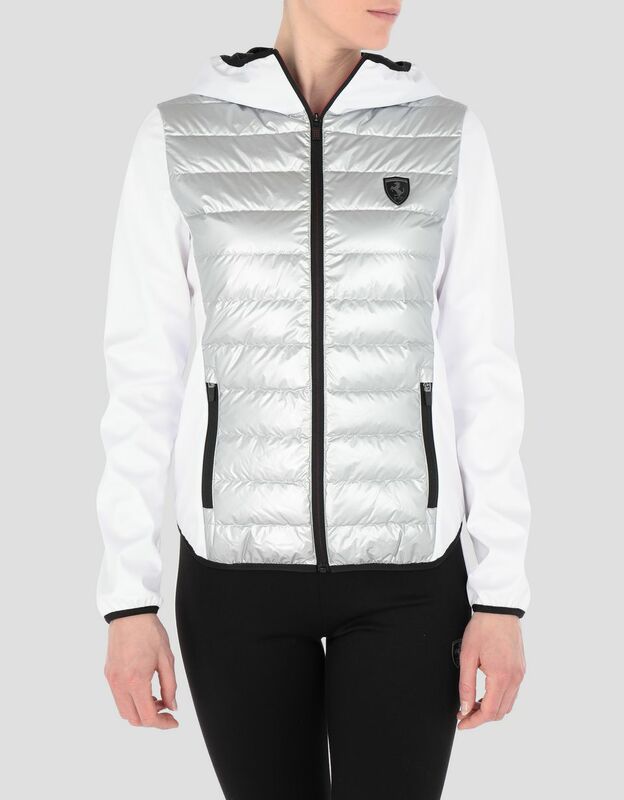 With horizontal quilting on the front, this women's jacket is made of water resistantA water resistant garment is made from fabric that protects the body from low intensity sprays of water. 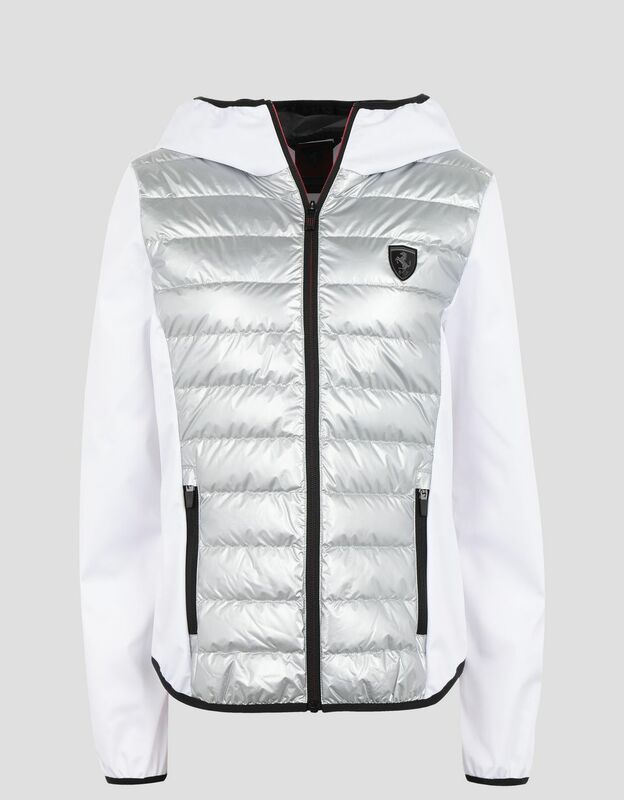 and wind-proof fabric and is closed by a reversible zip, with a zip pull inspired by the brake lights of Ferrari racing cars. 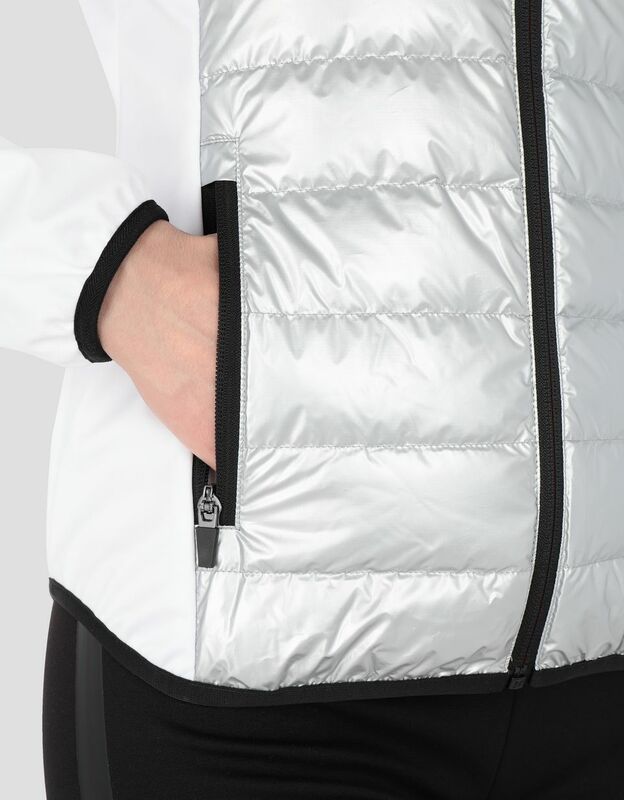 The jacket is completed by front pockets with zips, and the hem and cuffs finished in herringbone Lycra.